Near Bandung, there is a natural hot spring, one among them was the famous natural hot spring Ciater. Ciater located in the highlands of Subang with cool air temperature , located at an altitude of about 800 meters above sea level panoramic Ciater has many beautiful tea plantations. Ciater hot spring baths is located in District Ciater, Subang, West Java. Location hot spring Ciater exactly located on the border between Bandung and Subang, more precisely next to Lembang. 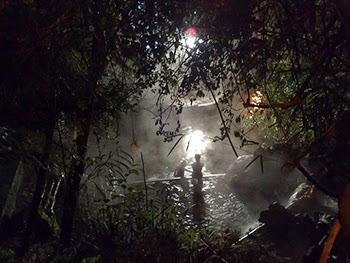 The hot springs of Ciater comes from Tangkuban Perahu Mountain, with temperatures between 43-46 Celsius. Hot springs bathing pool Ciater derived from the active crater of Mount Tangkuban Perahu that is located not too far from these attractions. Besides supplied to the bath, the water of these springs flows through the river along 2000m which later became cool and used for the benefit of irrigating rice fields. It is said that according to local farmers water can affect the quality of the harvest of the use of hot spring water. The hot spring is not only favored Ciater residents of West Java, but many residents of the capital and foreign tourists who come to visit. Ciater and Lembang is one of the tourist destinations are always crowded on weekends. Especially during holidays have arrived. There are many places of interest in Ciater that you can enjoy, of course, each place offers a variety of exciting activities. Among them are cycling, swimming, fishing, boating and kayaking, rafting, horseback riding, tennis, basketball, volleyball, mini golf, go-kart, camping, outbound, children’s rides, walks in the tea plantations, until visiting the craft Ciater ceramics. From Bandung, Ciater can be reached either private vehicle, rent car or public transportation. The distance between Ciater with Bandung is just about 32 miles and takes about 30 minutes. If you’re enjoying the tour Lembang, then go to tourist sites Ciater only takes about 15 minutes to arrive, is about 15 km. From the crater of Mount Tangkuban Perahu, distance to Ciater only about 7 miles away. If you use public transportation, then after arriving in the Bandung city, you can then take public transportation to the terminal Ledeng. Then, from this terminal you ride public transportation again to Lembang. And after arriving at the terminal Lembang, you can take another public transportation to Subang. From the terminal Lembang, a trip to Ciater only takes about 30 minutes. You will be dropped off right in front of the entrance of the location Ciater hot spring . To be able to enter into sites of Ciater , you have to pay the entrance fee of IDR 14.000 and to enjoy the hot spring Ciater, then you have to pay the ticket hot shower for IDR 80 thousand per person. The price of 80 thousand for hot spring in the form of a pool, if you want a hot spring that much simpler, it will cost about IDR 20 thousand to IDR 50 thousand. This Ciater varying prices of Hot water bathing pool to make an option for you to choose according your wishes. The hot water in Ciater containing calcium, magnesium, chloride, sulfate, thermo, minerals, and hypertherma with high levels of aluminum is 38.5 equiv percent, also with a very high level of acidity, ie pH 2.45. The hot water in this Ciater can treat skin diseases, is also believed to cure rheumatism therapy, neurological disorders and bone, as well as healing paralysis caused by high blood pressure or stroke. Therefore, a number of places in Ciater also provide therapeutic treatment. It would be very useful for those who want to do a hot bath therapy routine nature. 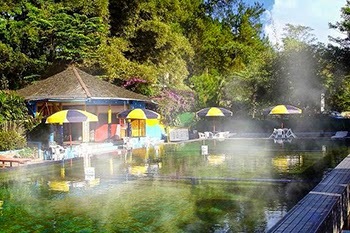 Hot water bathing pool Ciater Subang with is already well known as one of the natural attractions in West Java is a popular, well by the visitors in the country and abroad. Many visitors came to the hot water Ciater along with their families, there is also a group, couples, and individuals. Every day, Ciater visited approximately 60 thousand people, It was a record number of visits per day in Ciater. If you want to stay and spend the night on a sightseeing trip Ciater Subang, has available a variety of lodging, even bungalow types to choose from. Of course, there are some inn also provides internet facility for your devices.